Bring positive behavior to your school through strong, consistent, and positive discipline. 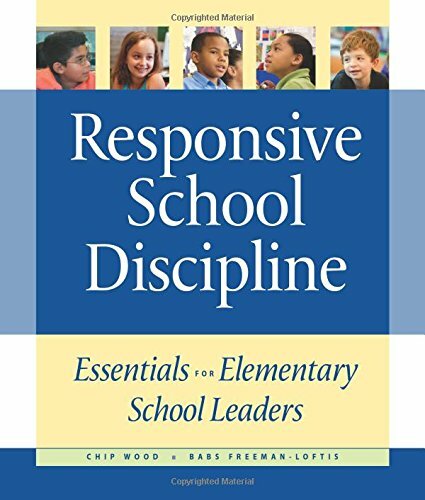 In Responsive School Discipline two experienced administrators offer practical strategies for building a safe, calm, and respectful school-strategies based on deep respect for children and for staff. Each chapter targets one key discipline issue and starts with a checklist of action steps. For comprehensive discipline reform, go through the chapters in order. For help with a particular challenge, go right to the chapter you need. Chip Wood has been a K-8 teacher, principal, and teacher educator for over 35 years. He is a co-founder of Center for Responsive Schools, the developer of the Responsive Classroom approach. Babs Freeman-Loftis has been an elementary school teacher, assistant principal, and Responsive Classroom trainer.